Diversification versus Concentration... and the Winner is? Acknowledgements We would like to thank the many organizations and individuals who supported this research and without whom we would not have been able to undertake it. We spoke to a wide range of analysts, sponsors, administrators, and competitors in the prize sector, who are listed in full in the appendix. We thank them all for their contributions. Twelve organizations that agreed to share their experiences in more depth deserve particular recognition. These organizations arranged interviews with multiple stakeholders within their programs and often hosted members of our team on site visits. We are grateful for their time, knowledge, and insight. These people (and the organization they are currently or formerly associated with) include Robert Benedict, Charlie Brown, Sushmita Ghosh, and Karin Hilhouse (Changemakers), Evie Dennis, Jerry Dickman, Jim Hayes, Yaroslav Hetman, Bill Hybl, Peter Kramer, and Peter Maiurro (El Pomar Foundation), Dotti Irving, Jonathan Taylor, and Ion Trewin (The Man Booker Prize), Paul Gudonis, Dean Kamen, William Miller, Cecilia Neumann, Dia Stolnitz, Wendy Trommer, and Vincent Wilczynski (FIRST), Nyssim Lefford and Anil Rathi (Idea Crossing), Craig Cooney, Aubrey de Grey, Dave Gobel and Kevin Perrott (The Methuselah Foundation), Lord Cairns, Hania Farhan, Hadeel Ibrahim and Nicholas Ulanov (The Mo Ibrahim Foundation), Doug Comstock, Ken Davidian and Andrew Petro (NASA), Jim Bennett, Reed Hastings, Jon Sanders and Steve Swasey (Netflix), Charles Harper, Gary Rosen, Arthur Schwartz, and John M. Templeton, Jr. (The John Templeton Foundation), Justin Cremer, Jan Douglas, Lisa Fleming, Judith Pim, Kenneth Quinn, and Frank Swoboda (The World Food Prize Foundation), and Peter Diamandis, Bard Geesaman, Brent Kocher, Cristin Lindsay, Jaison Morgan and Tom Vander Ark (The X PRIZE Foundation). We would also like to thank several people for their thoughtful feedback on earlier drafts of this report or its findings, including Laura Callanan (McKinsey & Company), Bhaskar Chakravorti (Harvard Business School/McKinsey & Company), Sushmita Ghosh (Ashoka Innovators for the Public/Changemakers), Charles Harper (John Templeton Foundation), Thomas Kalil (UC Berkeley), Matt McIlwain (Madrona Venture Group), Keith Sawyer (Washington University), Arthur Schwartz (John Templeton Foundation), Robert Sutton (Stanford University), and John M. Templeton, Jr. (John Templeton Foundation). The John Templeton Foundation originally suggested the topic of this report to us, and we are grateful to the Foundation for funding the research. McKinsey’s Social Sector Office provided the resources for the research and writing of this report. The team included members from McKinsey’s philanthropy, innovation, and opportunity creation practices. The primary contributors to the research, framework design and report development included Jonathan Bays, Bhaskar Chakravorti, Tony Goland, Brent Harris, Paul Jansen, David McGaw, Joe Newsum, Ariel Simon, and Lynn Taliento. We would like to thank Michael Anton and Cindy Perrin for their valuable editorial contributions. Executive summary Philanthropists and governments have long used prizes to drive innovation and engagement to produce societal benefit, but the use of this powerful instrument is undergoing a renaissance. Philanthropic prizes are growing in number and size, are appearing in new forms, and are being applied to a wider range of societal objectives by a wider range of sponsors than ever before. Not all of the growth has been positive, however, as the many overlapping prizes and growing clutter of the sector attests. In response, current and potential participants are asking when they should use prizes, and how they can develop and deliver effective ones. This report addresses these questions by drawing on academic literature, interviews with analysts and practitioners, surveys of prize sponsors and competitors, databases of small and large awards, and case studies of twelve effective prizes to produce lessons from a range of sectors, goals, and prize types. It aims to help improve current prizes and stimulate effective future use by developing a number of simple frameworks and compiling useful lessons for sponsors. While targeting the philanthropic sponsor, we believe these perspectives will also be helpful to governments and corporations considering prizes. Our research found that prizes are a unique and powerful tool that should be in the basic toolkit of many of today’s philanthropists. Their recent renaissance is largely due to a new appreciation for the multiple ways in which they can produce change: not only by identifying new levels of excellence and by encouraging specific innovations, but also by changing wider perceptions, improving the performance of communities of problem-solvers, building the skills of individuals, and mobilizing new talent or capital. These change drivers give prize sponsors compelling opportunities to use the open, competitive, and media-friendly attributes of prizes to stimulate attention and drive innovation in a highly leveraged and result-focused way. Recent prize growth is reinforced by powerful external trends such as the arrival of new philanthropic wealth, different attitudes to shifting risk, interest in open source approaches, and an increasingly networked, media-driven and technology-intensive world. We believe that the outlook for prizes is particularly strong because of the increased interest of philanthropists and the emergence of an industry of prize facilitators that is driving improvements in prize economics and improved practices for managing execution challenges and risks. Designing and delivering successful prizes is hard work, but a number of promising practices have begun to emerge. First of all, prizes are best used when a philanthropist can match a clear goal with a relatively large number of potential solvers who are willing to absorb some risk, criteria that cover a range of common philanthropic challenges. Then, good prizes will start with a clearly-defined aspiration for societal benefit, which can be translated into specific prize objectives that are significant, motivational, actionable, results-focused, and time-bound. The strategy for achieving these objectives will employ one of at least six prize archetypes, each of which uses a different combination of levers to change problem-solvers’ behavior. A good prize will then invest significant resources in its design, specifying the competitor pool, rules, and award attributes that will reinforce the strategy. An effective prize process is at least as important as prize design, reinforcing the strategy as it attracts candidates, manages the competition, celebrates winners, and publicizes the effort. Finally, a good sponsor will invest significant resources in post-prize activities that convert the award’s result into longer-term societal impact. We look forward to continued growth in prize use and further evolution of best practices. We anticipate the continued development of a global “prize industry” that will professionalize the management and support of prizes and make prizes more accessible to organizations with relatively small resources. We expect to see new ways to stimulate and allow collaboration among competitors, better vehicles for funneling developmental capital to competitors, more investment in prize development, and more creative collaboration between the social, private, and public sectors. And we believe that we will continue to see the emergence of new, creative prize types and change levers. In order to facilitate this growth and evolution, we also hope to see continued investment in understanding the field: sector conferences to share best practices and address common challenges, academic research into the underlying economics of prizes and the interplay between competition, innovation and collaboration, and philanthropic investment in the nascent industry. A prize is an old idea that remains surprisingly powerful today. We believe that leading philanthropists should consider how they can best use prizes as part of their philanthropic portfolio, and should accept the challenge of finding innovative ways to harness the potential of this powerful instrument. Homer, The Iliad, Book XXIII, trans. Richard Lattimore, Chicago: University of Chicago Press, 1951. See also Lois V. Hinckley, “Patroclus’ Funeral Games and Homer’s Character Portrayal,” The Classical Journal, 1986, Vol. 81, No. 3, pp. 209–221. Claire Atkinson, “‘Idol’ juggernaut passes $2.5 billion and hits the gas,” Advertising Age, January 8, 2007, Vol. 78, No. 2, pp. 1–29. Tara Atterbury, ed., Awards, Honors & Prizes, 28th Ed., Gale Cengage, 2008. Joel Best, “Prize Proliferation,” Sociological Forum, March 2008, Vol. 23, No. 1, p. 6. James English, The Economy of Prestige: Prizes, Awards, and the Circulation of Cultural Value, Cambridge: Harvard University Press, 2005, pp. 18, 323.
environment, or security. Sponsors have proposed prizes aimed to induce progress toward societal goals such as ending human trafficking, reducing American dependency on foreign oil, reducing smoking and obesity rates, improving African governance, providing clean water in the developing world, inspiring and educating children about technology, and improving collaboration among nonprofits. Despite growing interest and investment in philanthropic prizes, many questions remain about their effectiveness at creating societal benefit. Some prizes are at best weak forces for change. Does a medal presented at the end of a career really change behavior? Do new or overlapping prizes dilute the effectiveness of others? Is there any guarantee that a prize for new ideas will stimulate commercialization and widespread adoption critical to improving lives on a large scale? At the same time, some prize sponsors have trouble identifying “best practices in prize giving”, raising the question of whether they—and society at large—are getting the most out of their considerable investment in prizes. Sponsors commonly ask: when is the best time to create or discontinue a prize? What are appropriate objectives for a prize? And what is it that makes a prize effective at achieving them? In response to this growing interest in philanthropic prizes, and to the number of unresolved issues about how sponsors can and should use them, we sought to answer two primary questions: When should philanthropists consider using prizes as a means of  creating societal benefit? How should sponsors develop and deliver effective prizes?  To answer these questions, we took a close look at the prize sector and related fields including innovation strategy, intellectual property, and incentive and motivation theory. While our focus was the philanthropic use of prizes to achieve societal benefit, we also studied a range of actors—from the public and private sectors—seeking to achieve other goals through similar methods. We found that much of what they are doing applies to philanthropic prizes, and much of what works for philanthropic prizes applies to these other sectors as well. We read broadly in the scholarly literature, interviewed experts in related fields, surveyed prize sponsors and competitors, and compiled of a database of 219 large prizes (worth $100,000 or more), which we analyzed alongside a commercial database of more than 30,000 awards, honors, and prizes. Finally, we met with sponsors and administrators of twelve prizes across the spectrum to discuss how they design, manage, and evaluate prizes (see Exhibit 1; there are full profiles of each case study in Appendix 1). We argue that the unique attributes of prizes make them well-suited to achieving a number of philanthropic goals and they should be in the basic toolkit of many of today’s philanthropists. We also argue that designing and awarding prizes can be broken down into clear steps; the practices of our case study subjects (and some others we touch on but did not study in depth) offer valuable lessons on how to create and bestow an effective prize. Overall, we are optimistic that intelligent investment in prizes can create more and more distinctive societal benefit, and we believe that a growing “prize sector” and attendant infrastructure will increase this impact and make prizes a viable option for more sponsors. The potential of prizes to achieve societal benefit Prizes have great power to benefit society. They can be the spur that produces a revolutionary solution. In 1714, the British Parliament established the Longitude Prize, which inspired the clockmaker John Harrison to develop the marine chronometer, an instrument that solved the problem of measuring longitude at sea.6 Prizes can also change a group’s behavior. The Biggest Loser, a “reality TV” show that gives $250,000 to the contestant who loses the highest percentage of starting body weight, has enlisted thousands of viewers in a group competition to lose collectively more than a million pounds.7 Or prizes can set the standard for an entire field. T.S. Eliot famously grumbled that winning the Nobel was like “a ticket to one’s own funeral,” but universities regularly measure their influence and prestige by the number of winners on their faculty.8 It is hard to imagine a grant or service contract achieving similarly diverse kinds of impact. In this chapter we examine prizes’ potential as philanthropic instruments: the recent surge in their use, the underlying sources of their power to produce benefit for society, and the reasons why prizes are likely to continue to grow in use and efficacy as the “prize industry” develops. Dava Sobel, Longitude: The True Story of a Lone Genius Who Solved the Greatest Scientific Problem of His Time, New York: Walker & Co., 1995. Elizabeth Weil, “Big Losers, but Can Viewers Keep Pace,” New York Times, October. 18, 2007; Bob Trott, “Losing One Million Pounds, One City at a Time,” MSN Health & Fitness, available at http://health.msn.com/weight-loss/articlepage.aspx?cp-documentid=100188465. Dean Keith Simonton, Greatness: Who Makes History and Why, New York: Guilford Press, 1994, 57. James Burke, Connections, New York: Little & Brown, 1995, pp. 234–35. awards have been sponsored privately, for instance the Orteig Prize for the first nonstop flight between New York and Paris (claimed by Charles Lindbergh). The most prestigious awards, such as the Nobel Prizes, have demonstrated their continuing hold on the public’s imagination.10 But in the modern era, as patents and grants have continued to mature, prizes became to some extent peripheral instruments for encouraging innovation. Today, however, prizes are booming once again. Both their value and their absolute numbers have risen sharply. We tracked 219 current prizes with award values of more than $100,000; over the last 35 years, the total value of that group has increased more than 15-fold (see Exhibit 2). More than 60 of these prizes have debuted since 2000, representing almost $250 million in new prize money. And the total funds available from large prizes have more than tripled over the last decade to surpass $375 million.11 Even-larger prizes may be on the way: several political leaders have recently proposed massive inducement prizes ranging from a $300 million award for the creation of high performance car batteries to a staggering $80 billion pool of prize money to encourage the development of new drugs.12 Many prizes are not captured in the databases covering the prize sector, nor are management costs and volunteer time factored in. Taking all this into account, we judge that the total prize sector could already be worth as much as $1 to 2 billion. The ambition of prize sponsors is growing at the same time. More and more, they are applying prizes to problems and opportunities that (in their opinion) have not responded well to instruments such as advocacy and grants. These new prizes seek to effect greater and more complex change than the traditional goal of recognizing intellectual achievement or encouraging a specific technological breakthrough. Sponsors also seek to address challenging problems such as group behavior, skill-building, and market stimulation. “Win-win,” Economist, September 8, 2008. McKinsey database of 219 “big purse” (>$100k) prizes. United States Cong. House. Medical Innovation Prize Act of 2007. 110th Cong., 1st Sess. S.2210. Washington: GPO, 2007. This renewed emphasis on problem-solving is apparent in the evolving makeup of the prize sector. Before 1991, 97% of the value of the big-prize purses that we analyzed was dedicated to awards that recognize prior achievement, such as the Nobel and Pulitzer Prizes. But since 1991, 78% of new prize money in this data set has been dedicated to inducement-style prizes that focus on achieving a specific, future goal (see Exhibit 3). In parallel, prizes are shifting away from traditional arenas such as the arts, which only ten years ago claimed nearly one-third of the large prize purses that we tracked. Today, the arts and humanities-oriented prizes make up less than 10% of the total. By contrast, prize purses focused on climate and the environment, science and engineering, and aviation and space have increased seven-fold—and most of that new money goes to those who solve defined problems (see Exhibit 4). This refocusing is partly driven by the changing make-up of large prize sponsors. Corporations and new philanthropists have provided more than two thirds of total prize capital since 2000 and are pursuing arenas closely linked to their commercial interests or individual philanthropic passions (see Exhibit 5). See e.g., Thomas Kalil, “Prizes for Technological Innovation,” Brookings Institution Discussion Paper, 2006. Interview, Lee Stein, December 11, 2008. Expressiveness: Prizes embody aspirations, priorities, values, and a commitment to desired changes. Well designed prizes carry a strong element of theater that makes them newsworthy and media friendly. This messaging and brand-building potential is attractive to corporations looking to burnish their image or wealthy donors seeking to signal their arrival. Competitors for the prize benefit, too—even those who don’t win. A high profile competition helps participants attract sponsors willing to finance their efforts, and stimulates investment in the field. As Peter Diamandis, the Chairman and CEO of the X PRIZE Foundation, observed to us, this means at the extreme that prizes can produce a “paradigm change”: they “can change what people believe is possible, which is the first step to any innovation.”15 Flexibility: At their best, prizes inspire people and teams to push their efforts beyond conventional limits. Freed from an overreliance on narrowly commercial incentives, competitors can turn their efforts to addressing issues that the market may overlook. Prizes also add additional layers of motivation beyond money, such as prestige and intellectual curiosity. In an era when more and more people want to see solutions to societal problems that have proved resistant to pure market solutions, prizes—and their flexibility to address a range of issues— are increasingly valuable for the social entrepreneurs who benefit from prize money and for prize sponsors seeking change. Openness: Prizes attract diverse groups of experts, practitioners, and laypeople—regardless of formal credentials—to attempt to solve difficult problems. The citizen-inventor working out of a garage is a cherished part of prize lore. Technology may make this iconic figure more common. Low-cost computing power, the research capabilities of the Internet, and the many ways the information technology enables cheap and easy collaboration are working together to dramatically expand the pool of potential solvers and lower the cost of attempting or recognizing solutions. Success-contingent rewards: Prizes shift risk from prize sponsors to competitors (or their sponsors) by only paying for successful achievement of a defined goal. No success, no prize. Peter Diamandis calls this the “efficiency” of prizes: in a way, they are “fixed cost science or engineering.”16 For philanthropists, government departments or corporations looking to improve return on investment, in many situations this contingent rather than guaranteed payout can be a much more attractive proposition than a conventional grant or contract. Likewise, for competitors, success-contingent rewards combine with the theater of a wellstaged competition to create an urgency that delivers previously unachievable levels of focus and creativity, with real innovation as the ultimate result. These distinctive attributes of prizes and the external trends that reinforce them help explain why prizes are becoming so popular. But their intrinsic value is only part of the story. More valuable still is the way these attributes combine to form powerful change levers that can transform people’s actions and perceptions. This renewed and strengthened ability to affect positive change is perhaps the fundamental reason for the prize renaissance of recent years. Interview, Peter Diamandis, December 5, 2008. We believe that these seven levers, used correctly (and, frequently, in combination), give prizes great power to produce positive change. 1 Identifying excellence Identifying excellence is one of the oldest and most recognized functions of prizes. Indeed, the ancient Greeks identified the celebration and cultivation of arête (“virtue” or “excellence”) as the essential purpose of the Olympic Games.17 Prizes highlight and elevate superlative behaviors, ideas, and achievements in order to motivate, guide, and inspire others. Identifying excellence remains the cornerstone of many prizes—the essence of their power to produce change. In our survey of 48 large-prize sponsors, out of all the change levers “identifying excellence” was cited most often—by nearly 80% of respondents—as an essential attribute of their prizes. Lincoln Barnett, “All for Arete,” Sports Illustrated, November 19, 1956. Interview, Kevin Bolduc, July 25, 2008. Joel Best, “Prize Proliferation,” p. 15, quoting William J. Goode. Seymour Topping, “Forward,” Who’s Who of Pulitzer Prize Winners, Phoenix: The Oryx Press, 1998. Sylvia Brownrigg, “Making Book on the Booker,” Salon, October 29, 1998. “Virgin Galactic unveils model of SpaceShipTwo,” New Scientist, January 23, 2008. John Bankston, Alfred Nobel and the Story of the Nobel Prize, New York: Mitchell Lane Publishers, 2003. Interview, Michael Sohlman, August 26, 2008. National Academies of Engineering, Concerning Federally Sponsored Inducement Prizes in Engineering and Science, Washington, D.C.: National Academies Press, 1999. Interview, Thomas Kalil, July 9, 2008. Karim R. Lakhani, et al., “The Value of Openness in Scientific Problem Solving,” Harvard Business School working paper, 2007, p.9. Tariq Malik, “Homemade Space Glove Wins NASA Contest,” Space.com, May 4, 2007. Randy Burge, “Using Crowd Power for R&D,” Wired, July 13, 2007.
traditional approaches. In fact, Alph Bingham, one of InnoCentive’s founders, believes that “a significant percentage of people—who solve the challenge—you wouldn’t hire, given their credentials.”32 Nevertheless, their work has led to the award of more than $3 million in prizes for solutions for clients ranging from Eli Lilly to the Rockefeller Foundation to the International AIDS Vaccine Initiative. 5 Strengthen community It is easy to focus excessively on the competitive element of prizes—on who wins the award—and ignore their ability to bring together powerful networks that enable members to share ideas, approaches, and best practices. More than two-thirds of the prize sponsors we surveyed see prizes as means for strengthening the problem-solving community—not only to help solve a specific problem, but also to bring ideas and people together to encourage future collaboration and innovation. In many cases, prizes’ greatest societal benefit derives not from the specific achievements that win the awards but rather from the conferences, judging panels, and competitor networks that follow as an integral part of the prize process. El Pomar Foundation’s “Awards for Excellence,” for instance, were designed in part to realize the foundation’s belief that “prizes are best at strengthening community.” Its prize program strengthens the Colorado non-profit community not only through cash awards, but also by running conferences in the far corners of the state to educate and identify less well known nonprofits, and by bringing together the state’s non-profit community annually for a large televised awards ceremony. Its Selection Commission is filled with non-profit, business, and community leaders who often subsequently collaborate on other projects, Similarly, more than 2,300 of America’s top K-12th grade teachers, principals, and specialists have won the prestigious $25,000 Milken Educator Award, making them members of the Milken Educator Network. The award program, started in 1985, strengthens communities at multiple levels. Each class of Milken Educators is brought together at the annual Milken National Education Conference, a forum to share ideas and build relationships with other leading educators and policy makers, as well as influential leaders from business and the community. As members of the Milken Educator Network, they are “given a voice [and] frequently invited to join state committees [or] national commissions, giving them an opportunity to have influence far beyond the classroom,” says Dr. Jane Foley of the Milken Family Foundation.33 The very structure of prizes provides opportunities for sponsors to strengthen communities. Prize winners share a common experience and can band together as a community of influence. As Nicholas Ulanov of the Mo Ibrahim Foundation explains, this is part of the “transformational component of prizes.” The Foundation’s Ibrahim Prize seeks to “empower winners to create an active group among themselves, since these types of communities can have great moral suasion and political influence.”34 In turn, the prize process often links up stakeholders who want access to each other (e.g., participants and sponsors). The Internet is strengthening the ability of prizes to build communities. Ashoka uses event-based social networking tools to connect competitors and social entrepreneurs worldwide. The Netflix Prize online forum has more than 7,000 posts and enables people to help each other and share ideas and solutions. And InnoCentive is rolling out a suite of Web 2.0 tools to connect problem solvers and enable closer collaboration. Interview, Alph Bingham, June 15, 2008. Interview, Jane Foley, August 7, 2007. Interview, Nicholas Ulanov, August 19, 2008. Alan Melchior, Faye Cohen, Tracy Cutter, and Thomas Leavitt, “More than Robots: An Evaluation of the FIRST Robotics Competition Participant and Institutional Impacts,” Brandeis University, 2005, available at http://www.usfirst.org/uploadedFiles/Who/Impact/Brandeis_Studies/FRC_eval_finalrpt.pdf. Interview, Ken Davidian, August 2, 2008. And prizes can attract intellectual capital as well: at Netflix, the team that won its Progress Prize for best incremental improvement in 2007 was from AT&T Labs and drew on that institution’s world-class infrastructure. Of course, AT&T will benefit from the winning research, but Netflix also benefits from the use of AT&T’s resources to create an innovation that might not have existed without the competition. Given the often high costs of participation and slim likelihood of success, it may seem irrational for competitors to spend so much time and money on speculative awards. But many factors beyond money motivate aspiring innovators. First, as Peter Diamandis, Chairman and founder of the X PRIZE Foundation observed, prize competitors are typically confident and risk-loving individuals; hence they tend to systematically overestimate their chances of winning.37 Indeed, many of the participants that we interviewed were absolutely convinced they were going to win, if not this year, then surely the next. Second, prizes often signal a potential market that competitors might capitalize on if their ideas are part of an eventual commercial offering. Many of the initial competitors in the Ansari X PRIZE are now part of the burgeoning personal space travel market. Third, many competitors are motivated for intrinsic reasons: the opportunity to compete, to solve a difficult problem, to learn, to develop a network of like-minded inventors, or simply to be a part of history. Finally, the recognition accompanying a prize can be very valuable in itself. For the winners of the Goldcorp Challenge—which focused on finding new veins of gold in an old mine—the $575,000 in prize money barely covered the cost of the project. But the publicity impact was enormous. In the words of winner Nick Archibald, “it would have taken [our company] years to get the recognition in North America that this [single] project gave us overnight.”38 Of equal interest to philanthropists is the way that prizes can jump-start the flow of capital to a solution by acting as a vetting mechanism. Ashoka’s Changemakers initiative, for instance, is in some ways an “idea factory” in which social entrepreneurs develop concepts that outlive and transcend the competition itself. Changemakers judges are also potential investors, so by requiring participants to post ideas publicly and by selecting a relatively large finalist class, Changemakers can help match participants to new funding, essentially building a marketplace for innovation in an issue-area in just a few months. El Pomar Foundation, in turn, sees its prize competition partly as a screen for identifying and strengthening promising new nonprofits in the state of Colorado, with whom the foundation can develop a long-term grant-giving relationship. And of course there is the interesting case of the Methuselah Mouse Prize, a competition focused on new methods of slowing or reversing the damage of the aging process, which is raising much of its prize capital during the competition—already over $4 million from an Internet-enabled network of supporters. Interview, Peter Diamandis, August 26, 2008. Quoted in Linda Tischler, “He Struck Gold on the Net (Really),” Fast Company, May, 2002. *** During our research, we surveyed 48 sponsors of big-purse prizes in order to understand which of these seven change levers they were employing and with what success (see Exhibit 7). Perhaps not surprisingly, most felt that their prizes had been most successful at setting standards of excellence and influencing perceptions of a field—the chief purposes of many long-established prizes like the Nobels. The respondents felt that they had less success with some of the more creative applications of prizes, such as mobilizing unusual sources of talent, or using the prize competition to improve the skills of its participants. But the examples that we reviewed suggest that all seven of these change levers, properly employed, have the power to produce significant changes in skills, behavior, and outcomes, and by extension, significant societal benefit. 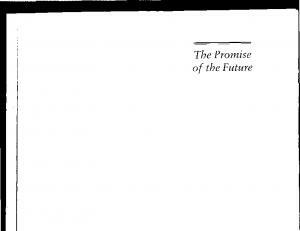 A promising future We believe that future developments will only enhance prizes’ potential as instruments of change. We expect to see three key trends shape the future of prizes: More activity: We anticipate that existing sponsors will invest more in prizes, and we  expect more non-traditional sponsors—such as governments, corporations, and venture philanthropists—to get into the game. These new sponsors will in turn expand the range of fields in which prizes act as instruments of change. Improvement in prizes’ economic productivity: We expect that the emergence of a prize  industry, improved collaboration techniques, and a more compelling and widely-shared set of best practices will make prizes more economically productive. Better management of risks and challenges: We expect greater recognition of—and more  attempts to address—the remaining risks and uncertainties surrounding prizes. 1 More activity Prizes’ share of philanthropic giving is increasing. While annual charitable giving in the United States alone (about $300 billion in 2007) dwarfs the current prize sector (estimated at one or two billion dollars), contributions to prizes appear to be growing much more rapidly than philanthropy in general. For more than a decade, the total value of the new prizes that we tracked has grown at roughly 18% per year, far surpassing the 2.5% annual growth in charitable giving in the United States.39 Indeed, few respondents in our survey of prize-givers intend to reduce their investment in prizes, and nearly a third plan to increase it; of that group, a further third project increases of 50% or more in the next three years. The recent credit and financial crises resulting in economic upheaval and declines in investment values may of course constrain this growth in the short-term. However, prizes are attractive in situations of limited resources, because they take advantage of other sources of capital and pay for performance. In the longer run, the willingness of existing sponsors to invest more will be augmented by the arrival of new players. In the 18th and 19th centuries, the bulk of prize capital came from the state or through royal academies and societies.40 Today, this terrain has shifted considerably. Corporate-sponsored prizes, although well established, may be one source of growth: they already account for 30% of the capital in the “big purse” prizes we examined, and further expansion is possible, and even likely. Some companies like Netflix, sponsor and run their own contests, but others are getting in on the action through partnerships with a new class of professional intermediaries. For instance, Ashoka’s Changemakers competitions have been sponsored by well-known brands including Citibank, Staples, National Geographic, and Nike, whose managers hope to engage with grassroots social entrepreneurs and innovators. Google is embracing prizes, using them to help design applications for its new phone, develop private robotic lunar rovers that can explore the Moon’s surface (the $30 million Google Lunar X PRIZE), and find world changing ideas (its $10 million prize called Project 10^100). These new prize funders and partners frequently use open models, and embrace the expressive power of prizes to communicate beyond competitors to a wider audience. The benefits accrue to society as well as to the sponsor’s brand equity. 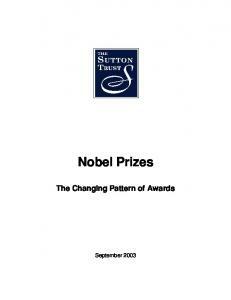 Analysis of McKinsey large prize database and Awards, Honors & Prizes; Giving USA 2008, Giving USA Foundation, 2008. William A. Masters and Benoit Delbecq, “Accelerating innovation with prize rewards: History and typology of technology prizes and a new contest design for innovation in African agriculture” Purdue University, 2008. Interview, Pat Christen, August 18, 2008. Thomas Kalil, “Prizes for Technological Innovation,” Brooking Institution Working Paper, 2006. National Academies of Engineering, Concerning Federally Sponsored Inducement Prizes, supra note 23. 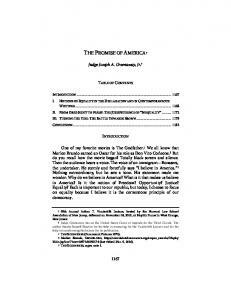 Interview, Lee Stein, September 8, 2008; see also US Patent Application #20080071658. Interview, Melissa Schilling, May 30, 2008.
in these or other ways will become a standard feature of many prizes, one that will drive faster progress with lower total cost over time. We also anticipate that work such as this report and additional academic research into the economics, applications, performance, and productivity of prizes will help create a rich set of best practices routinely available as a starting point for any entity considering the use of a prize. Linking prizes with innovation Do prizes really spur innovation? Experts have long thought so, but hard evidence has been lacking. A recent study by scholars at Harvard and the Norwegian Business School (NHH) is one of the first to establish an empirical link, by correlating awards for agricultural inventions with patents registered by winners.1 In 1839, the Royal Agricultural Society of England (RASE) began “to encourage men of science to exert themselves in the improvement of agricultural implements” through the use of prizes and awards, ranging from prestigious gold medals to purses that would be worth more than £1 million today. In modern terms, these would be “point solution” prizes: the Society called on award-seekers to produce specific improvements, and announced the award a year before any were bestowed. The research team compared the nearly 2,000 awards presented between 1839 and 1939 with inventions registered with the British Patent Office, using the latter as a proxy for innovation. The analysis showed that award winners were indeed more likely to receive and renew patents. And those who entered but didn’t win nevertheless sought patents for more than 13,000 inventions. “Evidence suggests that the prizes led to significant improvements in the quality of technological invention,” the authors concluded. Interestingly, a medal’s prestige seems to be a stronger motivator than cash. “People are much more induced by winning a medal award than by winning a monetary award,” says Tom Nicholas, one of the Harvard authors. He hypothesizes that “it’s much easier to market a product having won a medal.”2 In the late 19th century, Cyrus H. McCormick—founder of the company that became International Harvester—learned that lesson: he prominently featured the gold medals he won from the Royal Society and other organizations in advertisements for his reaping and threshing machines. Liam Brunt, Josh Lerner, and Tom Nicholas, “Inducement Prizes and Innovation,” Working Paper (Center for Economic Policy Research), 2008, available at https://nber15.nber.org/c/2008/si2008/DAE/lerner.pdf. Interview, Tom Nicholas, July 22, 2008. 3 Better management of risks and challenges The growth of prizes presents challenges as well as opportunities. New prizes often overlap with existing ones: more than one prize wants the nickname “The Nobel of Mathematics,” and several environmental awards claim to be the largest in their sector. More prizes mean more noise—and to break through that noise, some new prizes have offered ever-higher prize purses in hope of signaling their importance. The danger is that an arms race in prize amounts could deter all but the best-funded sponsors from participating. Serious involvement from governments, in particular, could change the sector considerably. For example, a hypothetical $300 million government prize for improved car batteries would dwarf the $10 million Progressive Automotive X PRIZE. At the same time, the sophistication of prizes is not advancing as fast as it might. Since 1991, almost a quarter of the new big-purse prizes that we tracked have still been old-style recognition prizes. When designed well, a prize that celebrates excellence can provide broad motivation to a community, by convincing others and validating particular directions. But for every Ibrahim Prize with ambitions for transformation, there are many others that remain “foot-in-the-grave awards” not tied to a broader strategy for change. The inherent challenge of a recognition prize is to achieve impact without paying directly for performance, and this is difficult to do well. The overall effectiveness of the prize sector may suffer if too many new prizes are created in this category. We believe that the designers of any new prize of this type must work hard to include other change levers. In the words of Thomas Kalil, “the burden of proof is on people who say that we need another recognition prize.”46 Of course, the current emphasis on prizes that encourage specific solutions to problems carries its own risks. For one, sponsors still need to do more work on making prize-driven solutions “stick”. For another, if solution prizes were to come to dominate the sector, they could crowd out other effective, but less glamorous change levers. Finally, the industry’s evolving norms pose risks. For example, a difficult challenge for commercial and government prizes is handling the intellectual property rights to the solutions they generate: do competitors keep the rights to their ideas if they win? What if they lose? What if a competition exposes aspects of a design, leading to theft by other competitors? This may not seem immediately relevant to philanthropic prizes, but as new vehicles inject greater profit potential into the process, then norms around intellectual property management must also evolve, and may do so in a way that affects the power of prizes. Regardless of strategy, with so much new investment and activity in prizes, high-profile failures of intent or execution are inevitable. The lack of widely-accepted best practices only increases the risk. Prize-givers will need to learn from and respond to these failures in ways that keeps the public, and their competitor pools, engaged. Interview, Tom Kalil, July 9, 2008. *** Despite some recent high-profile creations, the prize industry is still small relative to the philanthropic sector. Prizes are not appropriate for every societal goal. Like grants, contracts, investment in infrastructure, and other well-understood mechanisms, prizes are fundamentally instruments: they work in some cases but not in others. It is clear, however, that they have exciting potential as vehicles for societal benefit. They work better when facing a well-defined problem and can produce change in several powerful ways. There are thought-provoking examples of unusual and effective prizes, and there is plenty of room for experimentation. Prizes are likely to continue to attract attention and investment, supported by a maturing “industry” that should enhance their effectiveness. On that basis, we believe that prizes should be in the basic toolkit of today’s philanthropists, and that these philanthropists should approach them strategically, with a learning mindset, and a focus on effective implementation. Interview, Hayagreeva Rao, June 13, 2008. Interview, Tom Vander Ark, June 26, 2008.
inherent in the prize instrument. Yet much of this variety remains only potential; too many prize sponsors remain wedded to tried and true award-focused formulas. In this section, we first discuss how a potential prize sponsor can determine if a prize is the right philanthropic instrument for furthering his or her desired goal. We then address each of the steps that a sponsor must take to develop and deliver an effective prize. As one analyst told us, prizes fail when the sponsor does not understand how much effort and investment is required beyond the “economic capital” of the award itself.49 Our research and case studies made it clear that developing and designing effective prizes is a difficult and resource-intensive process. Our goal for the pages that follow is to provide some structure to that process by highlighting the key issues and choices sponsors will invariably face. In each part of this “workbook,” we identify some of the promising practices, cautionary tales, and rules of thumb that we observed in our research and case studies. When to use prizes Four basic instruments are available to philanthropists seeking a specific societal benefit. All are broadly described as grants in a legal sense, but have important and material differences from a managerial perspective. The most common type is the classic effort-based grant. That is, a philanthropist funds speculative efforts, such as the development of new approaches to pre-school education, or program activity, for instance the launch of an advocacy program. These grants guarantee effort—the recipient will be expected to perform the work proposed—but not outcomes; there is no guarantee of success. Second, a philanthropist may make an investment in a chosen field, for example by strengthening research institutions such as universities or by building capacity at implementing institutions such as nonprofits. This type of investment does not guarantee results either, and in fact rarely carries strict conditions on how the recipient can spend the money, but does create conditions that allow those receiving the support to pursue high-potential ideas or programs. Thirdly, a donor may structure a grant as a fee for the provision of an existing good or service from an established supplier. For instance, the manufacturer of insecticidetreated bednets who is contracted to deliver its product to homes in a poor region is paid just like any other business; only in this case, the payer is a philanthropist rather than the recipient of the goods. And finally, a donor may provide incentives such as prizes or advanced market commitments, which pay only if specific results are achieved. A rule of thumb holds that prizes are useful tools for solving problems for which the objective is clear, but the way to achieve it is not. By attracting diverse talent and a range of potential solutions, prizes draw out many possible solutions, many of them unexpected, and steer the effort in directions that established experts might not go but where the solution may nonetheless lie. Interview, James English, May 27, 2008. This guideline needs to be more precise. Our research suggests that there are three essential questions that can help a philanthropist decide on which type of giving best fits the problem he or she seeks to address. First, what is the nature of the change sought? Second, how many problem solvers might commit themselves to the effort? Third, what is their willingness or ability to absorb the risk of the effort? Handled sequentially, these questions create a simple decision tree that will help lead philanthropists towards the right instrument for their goal (see Exhibit 8). Exhibit 8: When to use prizes versus other philanthropic instruments Are the solvers willing to accept outcome risk? Are there many or few solvers? Is there a clear, achievable goal? The first question a philanthropist should ask is whether their goal is a specific achievable outcome or a more general improvement. There are several ways of considering this question: for example, is the goal measurable? Is it of an “engineering” nature, rather than basic research? Can it be achieved in a reasonable time frame? “Yeses” to these questions indicate that a broad investment approach, whose impact might be too hard to predict or too long in coming, should be avoided for a problem of this kind. The second question is whether the pool of potential problem-solvers for a given goal is large or small. This might be easy to gauge; for example, there might be a very small number of mathematicians expert enough to have any chance of proving a difficult conjecture. Specific goals that have few potential problem-solvers are perhaps best served by grants or fees for service, since the “overhead” of delivering a prize will not be justifiable compared to direct discussions with the few, likely solvers. But such ease in finding solvers is probably rare. Practical factors often complicate matters. For example, a philanthropy that lacks ample resources or is inexpert in a new field might find it difficult to identify the “best” problem solvers with any accuracy. In such cases, the ability of prizes to attract potential talent from far and wide can be an asset. Finally, a philanthropist should ask whether potential solvers are willing and able to absorb risk by contributing their own resources to working on the problem. This calculation will depend on several factors: how much money and time problem-solvers can afford to commit, their weighing of those costs versus the potential reward (either from the prize itself, the commercial potential of the winning solution, or from the ancillary benefits of participation such as making valuable new contacts, or from the satisfaction of being part of a successful solution), and their view of the likelihood of success. Risk is the heart of the matter, and prizes that fail to attract an adequate number of contenders probably do not strike the risk/ reward balance correctly. In such cases, the prize sponsor may need to experiment with a hybrid structure that uses grants or other forms of investment to give qualified participants the incremental support that they need to complete an effort. As this decision tree shows, prizes are a philanthropist’s best choice when a clear goal can attract many potential solvers who are willing to absorb risk. This formula is most obvious in so-called “incentive” prizes. Problem-solving networks like InnoCentive are built around a series of specific ideation or technical challenges posed to a large community of problem solvers who invest their own resources in pursuit of a known reward. But the formula also holds for good “recognition” prizes like the Nobels. These set a consistent and widelyrecognized standard of excellence in a field (a specific goal), are open to a relatively large number of candidates (the problem-solvers who can meet the goal), and these candidates invest their own resources or those raised from others in pursuit of the prize. This is true even though that pursuit may be more general or go on much longer—lifetimes, in some cases— than in the case of an incentive prize. In short, prizes can be effective tools for achieving specific societal aims. But they are far from the only tool, and are not the most effective one for every problem or issue. Smart philanthropists should break down complex problems into solvable parts and use the appropriate instrument for each. When one or more of those parts meets the conditions that we have outlined above, prizes are a good fit. A framework for prize development and design Once the decision has been made to create a prize, five steps should be followed to develop and administer it effectively (see Exhibit 9). The sponsor must first formulate an often inchoate aspiration into a concrete set of prize objectives. Second, he must analyze the motivations of likely participants and develop a prize strategy that addresses them. This strategy, in turn, will shape a series of choices about the prize’s design and process. Finally, sponsors and administrators must invest in the post-prize period, delivering the follow-up and evaluation that ensures that a prize program achieves its intended impact. There is great potential for creativity and experimentation at almost every stage, from the type of prize to the manner of its delivery to the way that its impact is enhanced and institutionalized. Interview, Andreas Widmer, June 25, 2008.
change. For example, if the aspiration is to drive down mortality from cancer, then identifying the incidence and mortality rates of various types of cancer will illuminate where best to focus resources. Is there more power in preventing incidence or improving treatment of those already afflicted? Some types may be so prevalent that focusing there makes sense simply because of sheer numbers. But in other cases, highly prevalent types may be relatively easy to treat, and therefore resources committed to them might offer a smaller but more immediate impact on overall mortality rates. Prize sponsors should also explore whether the principal barrier to realizing a societal benefit is the lack of the right solution, or merely the challenge of ensuring that large numbers of people adopt a proven approach, as illustrated by an adoption curve (see Exhibit 10). Underdeveloped demand or lack of best practices and supporting infrastructure can also be barriers to change that keep a proven concept from gaining the wide acceptance that it deserves. Input for a situation analysis can come from several sources. Surveying the existing literature on the challenge at hand is an essential first step; supplementing that survey by consulting with subject matter experts and potential competitors in interviews or workshops usually provides the powerful fact base and set of hypotheses needed to test with potential competitors and sponsors. The design of the Progressive Automotive X PRIZE, for example, went through “multiple drafts in the course of [12 months of] R&D” based on outside input, according to the X PRIZE Foundation’s Cristin Lindsay.53 Similarly, Changemakers works with a selection of more than 2,000 Ashoka Fellows and more than 3,500 past entrants to define a new competition. They provide input into a “discovery framework” that disaggregates the new problem into different barriers to change and different kinds of interventions and is then used as a basis for problem-solving during the competition. Interview, Cristin Lindsay, August 26, 2008. The best prize-givers either have a comprehensive situation analysis on the shelf (drafted, perhaps, in support of their other grant making activities), or take the necessary time and commit the necessary resources to conduct one—particularly for complicated prizes or prizes with big purses. Both Changemakers and the X PRIZE Foundation can take anywhere from three to twelve months to complete a rigorous situation analysis. Of course, some goals are easier to set than others. But in all cases, a generous investment of time and resources at this early stage builds a strong fact base that improves the odds that later investments (in goal-setting, design, and administration) will pay off. The extent of duplicated effort (and lack of collaboration) in the prize world suggests that this kind of rigorous situation analysis is relatively rare. Some fields have a number of prizes with overlapping objectives, which could lead to ignoring other paths or progress taking place on a narrow front. For example, there are several mathematics prizes with similar criteria, including the Abel, Shaw, and Wolf Prizes, as well as a host of independent literary awards that regularly honor the same books.54 Good prize sponsors prefer to address situations where new effort will unlock change. As Jaison Morgan, the Director of Prize Development at the X PRIZE Foundation told us, “we work to recognize the difference between prizes that are inducing real outcomes and those that are simply stepping in front of a parade.”55 b Setting objectives Once the situation analysis identifies important barriers, a prize-giver’s next task is to identify the specific prize objectives that might break through those barriers (see Exhibit 11). For Peter Diamandis of the X PRIZE Foundation, prizes need to be announced “above the line of ‘super credibility’ so they get global attention and attract credible teams. Challenges need to be audacious yet achievable, and seen by the public as worthwhile and inspirational.”56 Put another way, good prize objectives will pass the “SMART” test, a checklist that asks if they are Significant, Motivational, Actionable, Results-focused, and Time-bound. James English, The Economy of Prestige, pp. 65–66. Interview, Jaison Morgan, August 26, 2008. Interview, Nyssim Lefford, July 28, 2008. Interview, Jim Bennett, July 9, 2008.
an ongoing incentive to compete, even if their advances turned out to be incremental. (The Cinematch algorithm has improved by about 9% since the prize’s launch in October, 2006.) The designers of the Progressive Automotive X PRIZE, by contrast, were keenly sensitive to what they described as “the social urgency of the goal,” and so set “2010 as an outer limit for how long we could afford to wait.”61 Rather than competing individually, teams will come together in that year to see who has made the most progress. Interview, Joel Fleishman, July 10, 2008. Interview, Hadeel Ibrahim, August 19, 2008. Interview, James Love, June 12, 2008. Interview, Robert Sutton, October 22, 2008. Interview, Charlie Brown, July 29, 2008.
last.”67 Or to be more precise (if less memorable), competitors are motivated by the intrinsic interest of a challenge, the recognition or prestige accompanying a winner, the challenge of the problem-solving process itself, and any material incentive. Which motives matter most, and in what mix, will vary depending on the problem—and the problem solver. Prize sponsors can asses this in several ways. The most basic approach is interviews with representative stakeholders or those that influence them—especially important for prizes that will be the first in their domain or community. Ongoing prizes can target the actual participants and beneficiaries more effectively. In either case, it is not sufficient to create a communication plan to increase awareness: the sponsor needs to learn enough about interests, motivations, backgrounds, ways of working, and competing incentives in order to design the prize appropriately. The design and innovation community has developed a variety of frameworks and resources that can add insight and impact to a stakeholder analysis. These include tools for first-hand observation of stakeholders, such as spending time in the “field” watching how potential competitors go about similar tasks, and conducting debriefing interviews with them afterwards. There are also methods for testing prize designs with potential participants, oriented around rapid cycles of rough prototypes. These include persona/scenario modeling (which tests a process using a composite profile of a type of stakeholder), role-playing with a small set of representative competitors, and a variety of open source approaches. Although frameworks can be helpful, effective stakeholder analysis is fundamentally about discipline—prizes who take the time to answer these questions well increase their chances of producing distinctive impact. 2 Choosing—or inventing—a prize archetype Once potential prize-givers have a clear objective and an understanding of its stakeholders, they can focus on choosing the type of prize that best fits the problem and appeals to the problem-solvers’ motivations. Prizes are not restricted to a simple division between “inducement” and “recognition” types, or a hybrid of the two. There are actually many more ways that a prize can combine the seven change levers identified in the first section of this report. The vast majority of current prizes fall into one of six archetypes: exemplar prizes, exposition prizes, network prizes, participation prizes, market stimulation prizes, and point solution prizes (see Exhibit 12). Each of these emphasizes two to four change levers, tapping several sources of change. For example, if the barrier to solving a particular problem is the lack of a specific innovation, then overcoming it would typically require bringing focus to a community, mobilizing new talent and new capital—a point solution prize. If the bottleneck is public awareness or demand, then the solution may require identifying excellence and influencing public perception—an exemplar prize. c Network prizes Network prizes identify, celebrate, empower, and invest in prize participants and the broader stakeholder ecosystem. The goal is to build networks, strengthen communities by creating more forums for interaction, and assemble the next generation of leaders in a field. As we have discussed, the El Pomar Awards exemplify this type as they seek to identify top performing nonprofits, build connectedness within the Colorado non-profit community, and connect winners with potential funders. What the network chooses to do once it is connected is the key to achieving real impact and this choice needs to be reinforced by the prize process and the post-prize activities. d Participation prizes Participation prizes aim to inspire participants to change behaviors and even life trajectories, and are at least as concerned with building high participation rates as with identifying winners. One well-known example is NBC’s reality television show “The Biggest Loser.” Formally, the show chooses a winner based on who loses the highest percentage of starting body weight. But in a sense, all contests who lose weight are winners, as are viewers inspired by the show to exercise and change their eating habits. Learning prizes like Odyssey of the Mind and FIRST Robotics—dedicated to improving skills and educating participants—are an important subset of this type of prize. As the inventor Dean Kamen, founder of FIRST Robotics, explained, “the winners we invite to the White House are not the ones with the most points, but the team, company, and school that worked best together and demonstrated the impact the program has had on attracting participants. I can tell you who won the Chairman’s Award [honoring the team that best represents a model for other teams and best embodies the purpose of FIRST], but if you asked me who won the most points, I wouldn’t necessarily be able to remember.”69 e Market stimulation prizes Market stimulation prizes originate from some sort of market failure that, in the eyes of the sponsor, prevents the achievement of a desirable social outcome. Market failures can include a lack of investment, a limited supply base or poor consumer understanding of product potential. Market stimulation prizes emulate free market mechanisms by mobilizing unidentified talent, driving down product costs, attracting new suppliers, signaling market potential, and exposing latent demand. The most celebrated recent example is the $10 million Ansari X PRIZE, launched in 1996. By launching a competition to create a reusable manned spacecraft, the prize helped spur the development of the private spaceflight industry. Twenty-six teams competed, investing more than $100 million in combined research and development. Burt Rutan’s SpaceShipOne ultimately claimed the prize in 2004, with financing help from billionaire Paul Allen. Investors have since dedicated more than $1.5 billion to developing the private spaceflight industry.70 Within a few years, any would-be astronaut who can afford the $200,000 ticket will be able to take a trip to space on Virgin Galactic, based on technology developed for the Ansari X PRIZE. Interview, Dean Kamen, June 23, 2008. “Ansari X PRIZE,” X PRIZE Foundation, available at http://space.xprize.org/ansari-x-prize. Framing problems and solutions Point solution prizes focus attention on solving specific problems—but the results depend entirely on the way the problem is framed. Describe a problem too broadly, and it may be hard to get people to participate or to know when somebody has won; define it too narrowly, and the prize may fail to turn up the unusual, insightful solution. Ashoka’s Changemakers initiative—a problem-solving organization that runs innovation competitions for a range of social issues—frames its challenges with what it calls the “Discovery Framework.” This powerful vehicle is an online map, created afresh for each competition, which disaggregates a broad problem into specific barriers to change and different ways to address them. When developing a new prize challenge, Changemakers harnesses the collective voice of more than 2,000 Ashoka Fellows, a global community of social entrepreneurs previously identified by its parent organization, and over 3,500 past competition entrants. Using an online forum, they help create a two by two matrix that serves as that competition’s Discovery Framework (see below). The horizontal dimension defines four to seven systemic barriers inhibiting a particular prize outcome (such as lack of access to a market). The vertical dimension defines four to seven high-leverage design principles for solutions (such as aggregating demand). Interview, Sushmita Ghosh, June 17, 2008. Point solution prizes focus a community and mobilize talent and capital to solve well-defined problems with no clear path to a solution. Many existing and emerging “open innovation” platforms, such as InnoCentive and NineSigma, focus on point solution prizes, working on behalf of their clients (typically large companies and foundations) to pose ideation and technical “challenges” to their networks of solvers. In fact, many online business models are embracing point solution prizes. Threadless, a successful online T-shirt store, holds weekly competitions for the best shirt designs, awarding prizes of up to $10,000. Local Motors, a “next generation car company,” is designing cars by harnessing external designers through online competitions. Point solution prizes are riding the emerging wave of “crowd sourcing,” the use of unknown innovators to solve problems or submit ideas, often through mass collaboration. But choosing between a limited nomination process and casting a wide net is only the beginning. Many other tactical decisions must be made about a prize’s participant pool. For example, a sponsor may want to limit the size and composition of the participant pool to reinforce other elements of the strategy. The Ibrahim Prize restricts its pool of candidates to African heads of state based on the theory that “inspired, effective leadership at the top” of government is the key to achieving better governance in Africa. Similarly, Fields Medal winners are always younger than 40 because, in the words of Fields medalist, Abel Prize recipient, and chair of the Shaw Prize’s mathematics committee Michael Atiyah, “anyone who’s going to be anyone will be known by the age of 40. The age restriction is therefore not particularly restrictive.”72 The Progressive Automotive X PRIZE, in turn, has developed detailed technical and financial qualifications for competitors, and requires them to pay a non-refundable deposit, to attract only serious entrants and avoid wasting administrative time and energy. Our case studies suggest that the default model for a successful prize should be to set few barriers to participation, since arbitrary restrictions can quickly reduce a prize’s leverage and impact. For this reason, the high performing prizes that we observed nearly always articulated compelling reasons if they chose to limit their candidate field. Another tactical decision concerns the form of participation: should a prize focus on individuals or teams, or remain agnostic on the matter? Many participation prizes, such as FIRST Robotics and Odyssey of the Mind, are designed around the belief that teams instill a spirit of collaboration and group problem-solving far more likely to educate participants than working alone. The X PRIZE Foundation has considered larger models where, for example, 1,000 households could register as a team and compete for the greatest reduction in energy consumption over a set period.73 By contrast, the MacArthur Fellows Program is an exemplar prize dedicated to finding individual “geniuses” and “making their careers”—a decidedly atomistic goal, unsuited to groups or teams. Somewhere in between, exemplar prizes like the Nobel or the World Food Prize may select individual awardees, but build in flexibility to choose multiple individuals or even group winners, based on shared contributions or a history of collaboration on major breakthroughs. Having finalized the pool of participants (and with a good prior understanding of their interests), sponsors need to turn to the mechanics of motivating them—their rights, the rules of the competition, and the definition of the award itself. Although the award is the classic form of an incentive, all of these elements can be incentives in their way. In our survey of prize sponsors, they rated this concept—motivating contestants—as their most difficult challenge (see Exhibit 13). Interview, Michael Atiyah, July 31, 2008. 2 Defining participant rights Prizes are grounded in a relationship between prize-giver and participant, each of whom can benefit in ways that transcend the prize itself. Some successful prizes focus on the participant experience, designing it to enhance motivation and improve the likelihood of good results. The Netflix Prize, for example, created substantial goodwill with participants by giving them access to a dataset of 100 million movie ratings, a kind of proprietary data that is fascinating to researchers but rarely available. Ashoka’s Changemakers initiative gives participants access to each other’s ideas, to a proprietary method of breaking down a problem into addressable elements, and to other competitors, all aspects that will increase participants’ motivation during the competition and enhance their long-term effectiveness after it. Teams competing for point solution, market stimulation, and exposition prizes disclose new ideas and innovations in exchange for an opportunity to win an award. Hence, for these types of prizes, defining intellectual property rights is essential. Some prize sponsors, particularly businesses using prizes to develop a new technology or innovation for their company, insist on controlling all IP rights—from patents to copyrights to trademarks. Philanthropies are less likely than businesses to want such control; for them, seeing that the innovation makes an impact is the point of the prize, not proprietarily controlling its use. Smart organizations such as the X PRIZE Foundation clearly codify all parties’ IP rights and obligations in the form of Master Team Agreements. There are many approaches to handling IP rights. Red Hat asks participants for exclusive licenses. NASA’s Centennial Challenges oblige competitors to engage in good-faith negotiations for the right to use their innovations. Changemakers asks competitors to share all of the ideas entered in the competition. And for Netflix, it is a condition of the prize that the company has a non-exclusive license to the winning algorithms. As a rule of thumb, the more IP that a prize-giver wants to control, the more lucrative the award will need to be to attract a strong group of competitors. At the extreme—when prize-givers demand that innovators relinquish all IP rights to claim an award—prize amounts will begin to mirror the theoretical “shadow price” of a patent monopoly.74 Such prices can be prohibitively high (as much as hundreds of millions of dollars, depending on the nature of the innovation). Similar considerations apply to sponsorship and media rights. The X PRIZE Foundation has paid particular attention to this issue. The Foundation allows competitors to sell various team sponsorship rights to raise money independently, but retains all media rights to the competition in order to build its prizes’ brands and shape the messaging that surrounds them. 3 Creating the rules The rules for a prize competition typically include three elements: 1) criteria for winning; 2) the staging and timing of the competition; and 3) allowable interaction and collaboration (if any) among participants. These elements can vary widely depending on the type of the prize. a Criteria for winning More than a third of the prize sponsors we surveyed reported difficulty in creating criteria for winning. Achieving objectivity and simplicity are the biggest challenges. It is difficult to devise “fair” criteria for judging how well someone has fulfilled a partly or entirely subjective goal. Similarly, it is difficult to define winning conditions that produce the desired result without overcomplicating the process or stifling innovation. Subjectivity versus objectivity: For most prizes, objective success criteria are essential. The more difficult it is to understand what it takes to win, the more this will deter competitors from vying for the prize. Point solution prizes typically set a clear finish line that produces an objective winner. The Netflix Prize, for instance, uses Root Mean Square Error, a standard statistical criterion for accuracy improvement, to evaluate participants’ submissions, while the Ansari X PRIZE for space flight was awarded on relatively simple criteria about altitude and frequency of flight. But achieving some measure of objectivity—even if it does not quite reach the level of mathematical certainty—is also important for other prize types. The success of the Ibrahim Prize in changing public expectations about governance, for example, owes much to the perception that its criteria and judges make credible judgments about leadership quality. A prestigious judging pool including leading African statesmen like Kofi Annan provides credibility, and is reinforced by the new Ibrahim Index, which provides a quantitative benchmark for the debate. In a few cases, however, objectivity is impossible or may even be counterproductive— especially in inherently subjective fields. As John Sutherland, the Booker Prize Selection Committee Chair in 2005, told us, “there are as many opinions as there are people about what a good novel is. In law, you’ve got case law and precedents to help you. In literature, judges will see different things in the same novel.”75 But it is also possible that the Booker Prize’s ability to stimulate the public’s interest is tied to this subjectivity. For example, public disagreements among Booker Prize judges (or even an occasional high-profile resignation) may make it more likely that the prize will achieve its broader goal of encouraging more people to talk about books. For a general overview of the concept of shadow prices, see Gyorgy Simon, “Ex post examination of macro-economic shadow prices,” Economics of Planning, October 1965, Vol. 5, No. 3, pp. 80–93. Interview, John Sutherland, August 7, 2008. Interview, Hadeel Ibrahim, August 22, 2008. “It’s better to be out to sea,” The Economist, September 27, 2007. Interview, Robert Rotberg, July 29, 2008. Interview, Haniah Farhan, August 22, 2008. Interview, Lord Cairns, August 28, 2008.
the future. Maintaining only a single prize for a complete solution would have minimized the theatrical element of the competition, reducing competitor interest and possibly threatening a funding model that relies on a wide group of donors. The recurring prize for interim progress, however, provides a news hook that encourages continued press and participant interest, while also demonstrating movement towards the full solution. The X PRIZE Foundation employs a variety of models, from the open calendar of the Ansari X PRIZE (which lasted for eight years) to one in which important events (such as the date of the race for the Progressive Automotive X PRIZE) are set well in advance. Another hybrid solution is a competition with stages, which can build interest and suspense while narrowing large participant fields. The classic example is the Booker Prize’s management of consecutive “long lists” and “short lists” of nominees. By publishing the names of all the finalists, and then winnowing them down over time, the prize generates tremendous publicity and drives demand for all of the nominated books—not just the ones that make it to the short list. The same holds for Academy Award nominations, which prompt more than a few moviegoers to see all the best picture or leading actor nominees before the Academy hands out the Oscar. Stages can also be critical for participation prizes like the National Spelling Bee, the culmination of a long process in which participants progress from local spelling bees to regional competitions and ultimately to the nationally televised final. These layers of competition build the skills of thousands of students—including those who do not advance to the next round—while generating excitement in anticipation of seeing who will become the national champion. c Participant interaction The last major element of a prize’s rule set covers interaction between participants. For some prize strategies, this is not a factor—many successful prizes either do not require participant interaction to achieve their goal (such as exemplar prizes like the Pulitzer), or could even be harmed by it (for example, if interaction would endanger intellectual property). But for others, some measure of collaboration is preferable to pure, unassisted competition. Indeed, prizes need not be purely competitive. A great deal of research suggests that collaboration can substantially aid innovation, and point solution or market solution prizes might be designed to encourage this.78 And collaboration is essential to participation and network prizes, which seek to strengthen communities, educate people, and/or improve their skills. Changemakers, a competition whose goal is as much to strengthen communities as to deliver point solutions, freely permits competitors to revise their entries—and many do so after reading other participants’ submissions (all of which are visible to any visitor to the competition’s website), or as a result of dialogue with others on the site. 4 Setting the award(s) After defining a participant pool, its rights, and the rules governing the competition, a prize sponsor’s last major design decision is about the award itself. For many prize sponsors, this is entirely a question of cash value—they aim to offer a substantial cash award, on the assumption that doing so will generate more media coverage. And yet, in our study of bigpurse prizes, we found no correlation between the size of a prize and the exposure that it receives, even when correcting for the longevity of a prize (see Exhibit 14). See, for example, Christopher Freeman, “Network of innovators: a synthesis of research issues,” Policy Research, 1991, Vol. 20, No. 5, pp. 499–514. Report "And the winner is. Capturing the promise of philanthropic prizes"